The Scout x Fiona puppies have arrived! 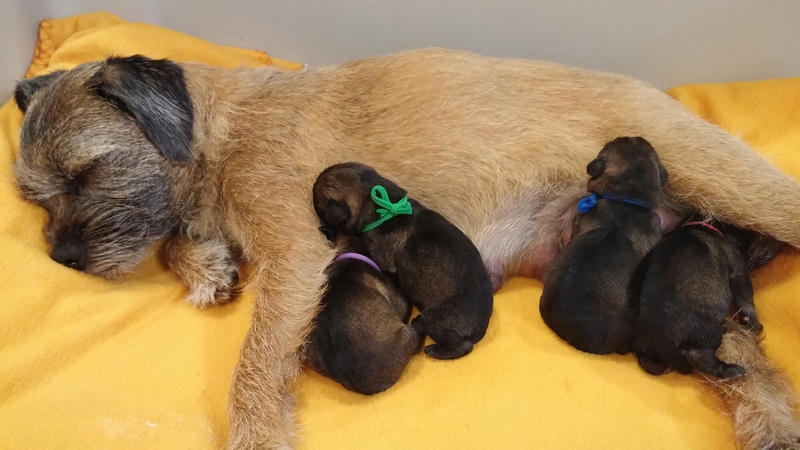 It was a long two days with only 5 hours of sleep but we’re happy to announce that the Scout x Fiona pups have arrived! We have two boys and two girls, and Fiona was a champ. This was her first litter and she fought through the exhaustion like a pro. We’re excited to see how these puppies develop!